Indubitable and eye-catching. 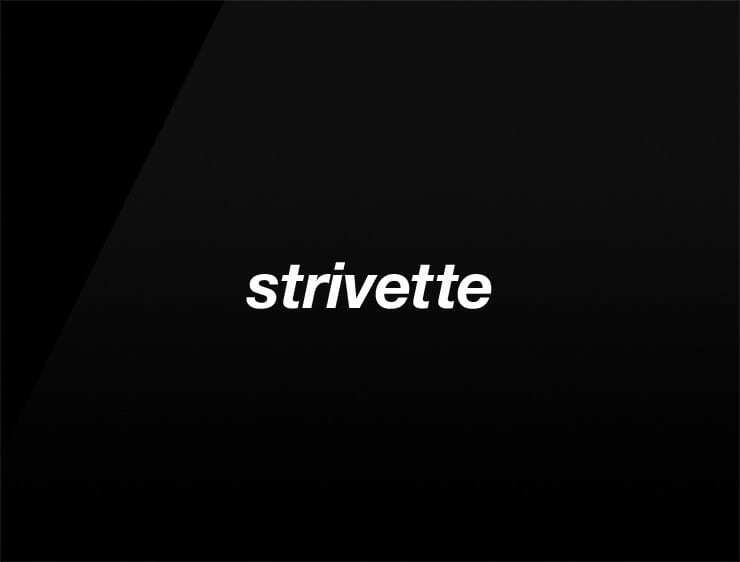 This modern business name ‘Strivette’ echoes ‘strive’ by focusing on perfectness and righteousness. It can also recall ‘vet’, meaning “I know” in Norwegian, and ‘rive’, meaning “shore” ore “riverside” in Italian. Possible fits: Marketing agency. Advertising agency. Consultancy. A legal service. Financial advisor. Coworking space. Collaboration software.